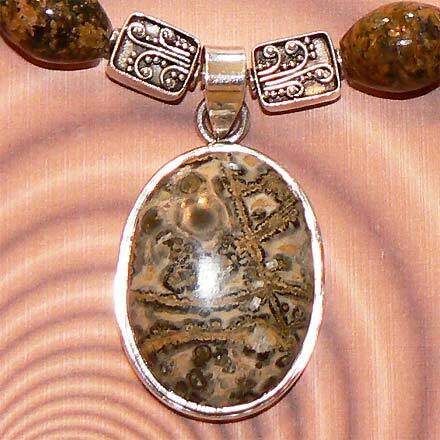 Sterling Silver Leopardskin Jasper Necklace. See Closeup. 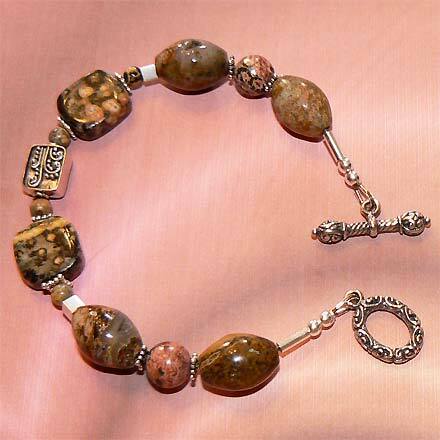 Sterling Silver Leopardskin Jasper Bracelet. 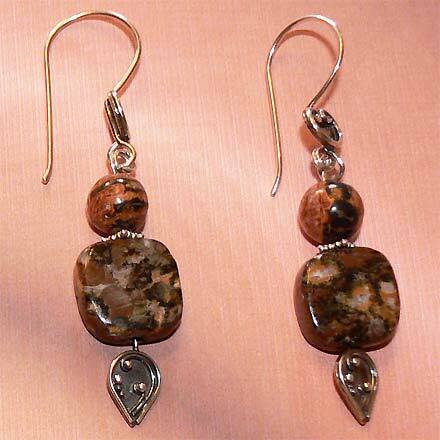 Sterling Silver Leopardskin Jasper Earrings. 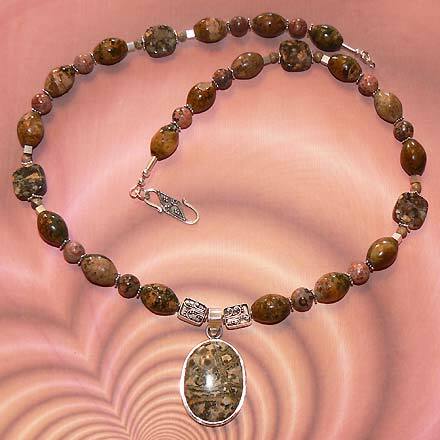 Chunky smooth textures for those who love the feeling of wearing down to earth stone jewelry.